La Paz Waterfall Gardens is absolutely beautiful, and it is located in Vara Blanca. To get there, you will head north from the Vara Blanca gas station, traveling approximately six miles. This rainforest, waterfall and much more is about as good as it gets when it comes to natural beauty. It is the top attraction in Vara Blanca, although there are only two things to do in this smaller, more remote area of Costa Rica. La Paz is the name of the waterfall, and then the rest of the area is the gardens. If you are brushed up on your Spanish, then you may know that “paz” means peace. 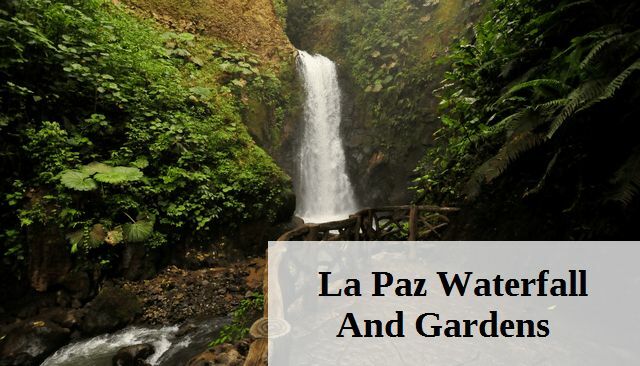 This place looks peaceful for sure, and it is going to be one amazing visit to La Paz Waterfall and Gardens. Call it a day trip and experience nature at its best. You will get to enjoy a nice buffet lunch while you are there, too. Reviews say that the park is well maintained, so there are plenty of people that look out for the area and the wildlife there. Not only do you get to see the waterfall and the wildlife as well as take in your beautiful surroundings, but you get to see the Poas Volcano, too. Some people do talk about this part of the adventure being a hit or miss because of the weather. Hopefully, you get to see Poas Volcano when you make your trek to Vara Blanca. You will also see a bird sanctuary there and other animals, too, even big cats. Another point of interest when you visit this attraction is the Hummingbird Garden. Doesn’t that just make you think of the most beautiful place? Imagine how many pictures you are going to want to take during your adventure in La Paz Waterfall and Gardens in Costa Rica. It should be mentioned that the Poas Volcano is a separate area and tour. However, people talk about it in reviews of La Paz Waterfall and Gardens because it is right there. Furthermore, you can book a combined tour of the gardens and the volcano, so keep this in mind as you are planning out your trip and want to do more and see more. Now, imagine that you plan the trip and tours, and you get there in the midst of torrential rain. It happens in Costa Rica, but don’t think that will stop you from enjoying the beauty. You might think about how the rain keeps you from doing things back home, but they are prepared at La Paz Waterfalls and Gardens. People have left reviews saying that they even enjoyed themselves thoroughly in pouring down rain. If you want to experience the rainforest in Costa Rica, this is certainly one of the places you will want to visit. All you have to do is book your tour of La Paz Waterfall and Gardens in Vara Blanca and call it a day. Take your time and enjoy yourself thoroughly while you are there. It will be quite an adventure, and you are going to want to see more of the natural areas of Costa Rica, too. When you visit this beautiful place of interest, you are going to notice that the waterfall is right by the road. You are also going to notice that there are different types of tours that you can book, and they are at different price points. Look at what all comes with the tour package so that you can make sure you book the best adventure. There is also a hotel there if you are interested. If you look at the history of La Paz Waterfall and Gardens, you will learn about an earthquake that damaged the area just under a decade ago. That is, of course, more recent history, but you can learn more about the area, too. You are about to embark on one exciting adventure. Enjoy your day trip to La Paz Waterfall and Gardens. Don’t forget about the buffet lunch, and remember the hotel if you need to look at lodging options. 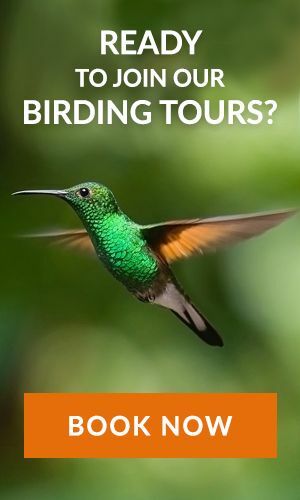 This Costa Rica vacation you are planning sure is going to be wonderful. It is going to be the trip of a lifetime, no doubt about that. When in Costa Rica don’t forget to explore Santa Teresa.